I’m not a really a fan of Megyn Kelly to say the least but I was given a copy of her book and I was curious about it. I do admire how she can hold her own in a very sexist industry and she works really hard, which I appreciate. I have recently started reading more non-fiction books and I really enjoy memoirs so I was ready to be blown away from tales of Megyn’s career. However, Settle for More is mostly about her childhood and there’s not a lot of behind the scenes stories from her career or dirt on those she’s interviewed or worked with. There is a good chunk of chapters on Donald Trump and even though I wasn’t surprised by the stories Megyn has of him, I thought it was interesting. Overall, I thought this book was interesting even though I wasn’t totally into all of her childhood stories (if you’re a fan of Megyn, you’ll probably love that aspect of the book) and the first half was a bit boring. 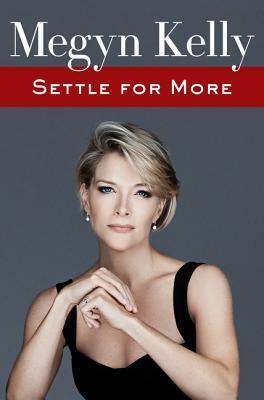 Settle for More hasn’t changed my thoughts on Megyn Kelly but I do respect all her hard work and for being a boss lady in corporate politics. That’s not easy and she’s achieved lots of success. If you’re a fan of Megyn, this is definitely worth a read. If you’re a women looking to make a career in politics, I think this is worth reading as well.